Robust and reliable solution for on demand and commercial lamination, suitable for nonstop run. • Two-system feeding head driven by servo-motor. • Mechanical elements of feeding head and system of feeding rollers and swing stops for accurate feeding of single sheet. 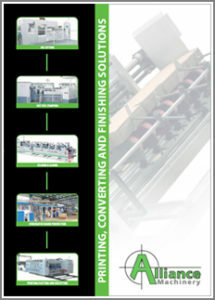 • System of guiding plates to strengthen thin paper before lamination. • The sensor indicating misfed sheet to prevent the film from sticking to the pressure roll. • Film unwinding by means of air shaft with side regulation, pneumatic brake and adjustable distribution roll. • Fast heating of laminating roll using dry filling-free method. • The temperature in five zones of the laminating roll is separately controlled using advanced PID regulation. • Sheet overlap electronically set, being able to be changed even during the machine run. • A wide range of operating parameters entered via touch screen. • Pneumatic thrust adjustable on both ends of the pressure roll. 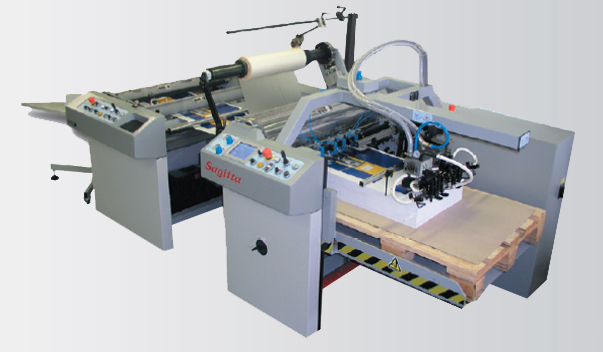 • Doubled and synchronised control of laminating and snapping unit for easier maintenance. • Adjustable decurling bar for sheet straightening after the lamination making their consequent stacking easier. • The sheet separation is ensured by means of snapping roll together with rotating knives and skewing wheel. • Sheet stacking onto jogging table or automatic stacker.